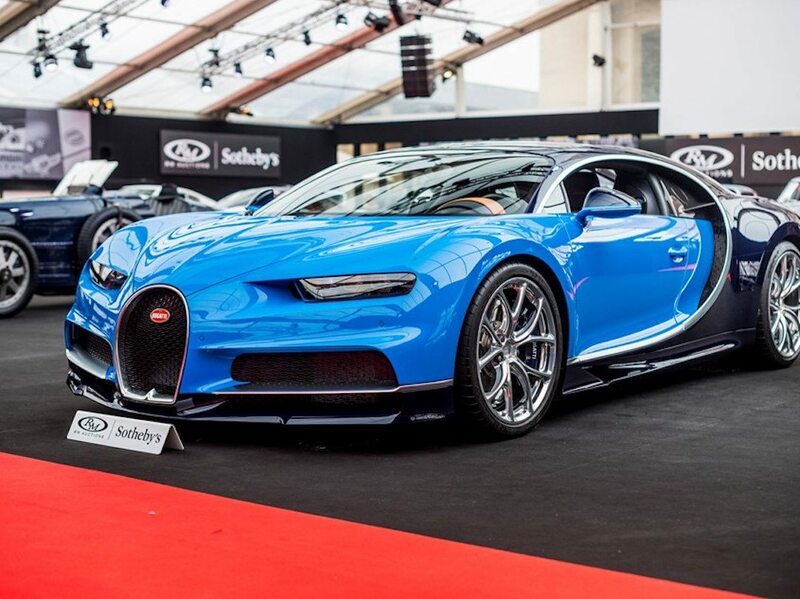 RM Sotheby’s recorded a sale total of €23,745,225 ($29,562,805) at its fifth annual Paris sale on February 7, with an 83 percent sell-through rate for the 84 lots successfully sold. Demonstrating continued interest in low-production modern-era hypercars, the 2017 Bugatti Chiron (above, Remi Dargegen photo courtesy of RM Sotheby’s) with fewer than 1,000 kilometers on its odometer was the night’s top seller, achieving an incredible €3,323,750 ($4,138,069), a world-record price for a Chiron offered at public auction. Second in the bidding stakes was taken by a 2005 Maserati MC12, one of just 50 ever built, took second billing at a final €2,001,875 ($2,492,334). Proving that blue-chip post-war classics also remain very much in demand, the beautiful and remarkably original 1958 BMW 507 Roadster Series II rounded off the top three, realizing €1,776,875 ($2,212,209). Number four on the hit parade was a 1993 Bugatti EB110 SS Prototype, sporting unique factory modifications and a mere 3,300 kilometers from new that sold for €1,152,500 ($1,434,862) to set a new record for the model at auction. While another world record was established by a 1958 Triumph TR3A Works Monte Carlo Rally car that gaveled for €184,000 ($229,080) to become, by far, the most valuable TR3 ever sold at auction.